WCM777 claims will be accepted in the not-too-distant future, under a proposal by Krista L. Freitag, the court-appointed receiver in the SEC’s pyramid- and Ponzi-scheme case. The proposal, which includes time guidelines but no specific date upon which claims will be accepted, was submitted to U.S. District Judge John F. Walter of the Central District of California on June 3. Walter must approve the plan. The dates will become clear once the plan, which is subject to objections and amendments, is approved. EDITORIAL NOTE: IMPORTANT: There is no way to file claims right now, but it perhaps is best to assemble your documentation now — before the filing date and deadlines are announced. 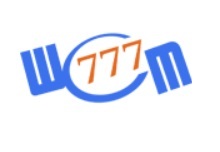 As is typical in HYIP scams, WCM777’s books and records allegedly were a mess. In formulating the plan, Freitag says she also has taken the cross-border nature of the scheme into account, but budgeting also is a concern. Read the plan and the supporting motion. Read other documents at the receiver’s website. Freitag says in court filings that she has gathered about $20 million since she was appointed receiver about 14 months ago. WCM777 and associated entities are alleged to have hauled $80 million or more through 77 domestic bank accounts and 23 foreign ones. Up to 96,000 claimants could come forward, according to an estimate by Freitag. She has nominated Epiq Systems — Class Action & Mass Tort Solutions. Inc., to be the claims administrator. 3. In formulating procedures for the administration of claims, my goal is to find an efficient and cost effective means to verify and validate investor and creditor claims. In a best case scenario, a receiver transmits the receivership entity’s estimated claim amounts to claimants as part of the proof of claim form and simply seeks confirmation of the claim information. In other cases, a receiver requests claim information and matches the information received from claimants with information found in the records of the receivership entities or backup information provided by investors. Here, these approaches are simply not feasible because there are not reliable, detailed records reflecting who invested and how much was invested. 4. Three additional factors impact the claims review process in this case. First, a significant number of investors did not invest directly with the Receivership Entities, but rather invested through other individuals and entities. That is, many investors gave their money to another individual who pooled the money from multiple investors for a lump sum deposit with the Receivership Entities. This makes the process of matching claims to deposits far more complicated as the Receivership Entities’ records do not accurately reflect each individual investor’s payment. 5. Second, there are many thousands of investors from many countries around the world and the records indicate that the majority of these investors speak at a minimum six different languages. This makes the cost of all phases of the claims process, including manually reviewing claims, extremely expensive. 6. Third, there is the issue of “points.” As the Court will recall from the Commission’s filings, WCM, the third parties involved in pooling, and some insiders issued or sold points to investors. These points were not formally ascribed any particular value. However, the records show that an extensive marketplace for points developed that was independent of the WCM enterprise. While there was no value ascribed to such points by the Receivership Entities, investors and others purchased, sold, traded and valued the points as if they could be exchanged for cash or goods. As such, the expectation is that many investors will provide claim information based on misconceptions related to the value of their points as well as their cash investment in the Receivership Entities. This issue may also dramatically impact the estimated number of ‘known’ investors as those who traded or otherwise sold points may not have ‘registered’ themselves in the company databases. What this means, in essence, is that the claims process is approved, but that the receiver still has to do some legwork before claimants receive notice that it is time to file a claim. According to the receiver’s Fifth Interim Report filed July 21, “the deadline to submit claims to the Receiver” is Nov. 9, 2015. That’s not all that far away and suggests that things will move quickly once the receiver and claims administrator EPIQ complete the preliminaries. Ming Xu’s father (Guojun Xu) gets a mention in the report. Guojun Xu allegedly received “post-receivership transfers” from Sue Wang, Ming Xu’s sister. No residency is listed for Guojun Xu in the report. Remain Blessed God bless you. Please see this, Solomon. Info there to help you. There is info available in other languages. Please see the flags in the upper-right corner at the URL above. I’d encourage you to explore the page and to recognize the deadline for filing a claim is Nov. 9, 2015, only a little more than a month from now.